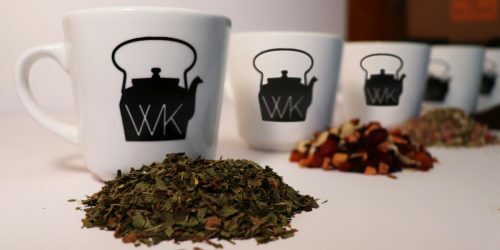 Like other food based "monthly" clubs, it's a great way to get a curated list of teas shipped to you automatically each month. Regardless if you are getting this as a gift or for yourself, you get exposed to a variety of teas on a regular basis. But what makes one club different from another one? The amount of tea of the month clubs available on the market has expanded over the past few years. But not all clubs are the same, and this article is designed to help you make an informed decision. If you are searching on google, you might come across 'top 10' pages. In fact, search just about any general product and you will get top multiple "top 10 "lists. Most of these are usually not individual reviews by a qualified reviewer, but just a list linking to affiliate marketers (i.e. they cut of the sale). While there isn't inherently anything wrong with this, make sure the guides do more than just list the features of the box. Do they have any knowledge or authority on the subject matter or are they just reading the product description verbatim? Most plans by default include "free" shipping. However, if you are sending as a gift, make sure you know what the box looks like. It is a cheapy plastic envelope? Generic box? Or is it something a little more fancy? Most places will ship on a set schedule each month. If it's close to the holiday season, you'll want to know the cut off date to get the first box in time. First and foremost, we are biased against bagged tea so we prefer any subscription that consists of only loose tea. This is simply for quality and variety. Some clubs are limited to just one plan - you take whatever they send you. 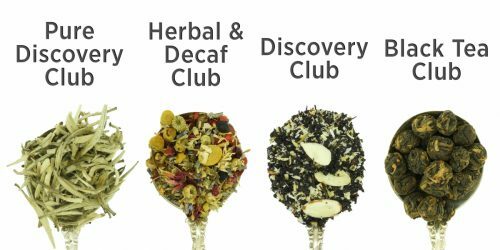 Some clubs offer a variety of plans focused on particular tea categories. A few clubs might offer hyper customized plans based on a "personality algorithm". While this is may be ideal for a certain customer who is hyper picky, such as "I don't like Earl Grey, Citrus, Chocolate and want to avoid caffeine" offering too much customization might reduce the serendipity of trying teas you might not even know you might like, or exposing you to a taste that you never knew existed. Since we consider tea like food, we like the more adventurous route of not knowing what you may expect. Prices are very subjective, and you will see a wide range of prices from plan to plan. In most cases, shipping is built into the cost of the plan. Besides the shipping materials, boxes, labor, marketing, overhead and management - the rest of the cost is the tea itself. Here is where things get murky. Not all plans reveal the exact menu of teas you will receive, which is admittedly hard to do in advance especially during certain seasons. Some clubs lure you in with 'too good to be true' prices, but in reality the amount of tea offered is either minuscule or the teas provided are mostly cheaper teas that cost very little. Sometimes weights are provided, often in grams which requires a little conversion to determine how many ounces you will receive. Others will not provide weights but rather 'cups'. This is also subjective and sometimes there is cup inflation when it comes to calculations, using a much too low amount of tea per serving and thus driving up the amount of "cups" you get. If a plan doesn't offer as many teas per month, ask yourself this: What happens if you don't like a tea? If you get 1 or 2 teas, you will be saddled with a lot of tea that you don't want to drink. A good club will give you a reasonable amount of tea - enough to try stuff out, but not too much that you wind up not being able to drink it all. Ability to purchase more tea? You'll probably come across tea that you absolutely love and will want to buy more of. Another question would be can you buy more of a particular tea from the seller? Some boxes that mix different brands will not be able to do this - you will have to order from different companies which may be inconvenient. Some companies have a very limited selection of tea on their website. Some clubs offer perks in the way of discounts to their website for plan members. It's good to know what your options are in advance. Some subscriptions will send you the tea by itself, some will send you some disposable tea bags, and some others offer infusers or even tea pots. If you already have a collection of tea pots, you may not want to pay for an additional one you don't want or need. On the other hand, if you are sending as a gift, having something included so that it can be used on day one isn't a bad idea. Companies can host their own services or use a third party provider like Cratejoy. The software for managing subscriptions and payments is pretty complex, which is why some companies opt to outsource this. We like to see a mechanism for being able to change billing methods, delivery address, pausing or cancel subscriptions. Some places let you do a pre-pay, which we only recommend if the company has a good reputation (see below). This avoids interruptions in shipments due to credit cards being expired or lost. Is it a subscription only company? Or a tea company that happens to have subscriptions? Which is the better choice? Regardless of who hosts the box, it's a good idea to look at the companies web page and learn more about the company itself. Does it inspire confidence about the products being offered? Is there customer service easily accessible? Is a phone number or address listed? There is no one perfect club. Using the factors discussed above will help you find the ideal tea of the month subscription that best fits your needs.